Antenna Leases Bids for lease of space on municipal property, water tanks or cell towers for mounting cell, microwave and other antennas. Vehicles & Equipment Bids for purchase of vehicles for police, fire and public works, and purchase of non-vehicular equipment. Full-Time Job Opportunities Subscribe to receive Full-Time Job Opportunity notifications from Hawthorne. Part-Time Job Opportunities Subscribe to receive Part-Time Job Opportunity notifications from Hawthorne. 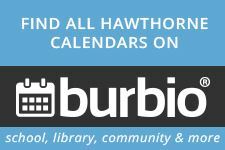 Seasonal Job Opportunities Subscribe to receive Seasonal Job Opportunity notifications from Hawthorne. Meeting Calendar Shows dates and times of meetings for the Borough Council and all municipal boards and commissions. Services Calendar Shows dates, times and locations for elections, services offered occasionally or seasonally by the Borough or at Borough facilities, and deadlines for certain registrations and licensing.